Linda Pierro and Robert Bedford have published a new magazine dedicated solely to the Hudson Valley wine region. This new magazine is tremendous. It highlights selcted wineries, and contains articles by regional experts, and features pieces on the wine history of the Hudson Valley as well as the classic grapes of the valley. The full-color, over-sized, complimentary magazine will be published on a semi-annual basis, and will have distribution throughout the Hudson Valley region – which ranges from New York City to Albany – as well as other well-known tourist destinations including Saratoga and Cooperstown. The premier issue, Summer 2008, is now available at targeted locations, including upscale hotels, shops and restaurants, conference and visitor centers, Hudson Valley wineries and wine shops. The magazine is eco-friendly and printed on 100% post-consumer recycled paper made with electricity generated by windpower, and manufactured in the Hudson Valley. Each issue focuses on the wineries, highlighting the owners and winemakers, their winemaking practices, new releases and “The Essentials,” which features specifics on each winery, including hours, tastings, tour information, events and details such as acreage planted, number of cases produced, etc., as well as directions. Content for the premier issue also includes articles on the 300 year-old history of winemaking in the region, “Grapes of the Hudson Valley” and “Seedlings,” a column on what’s new to try, buy or do regarding local wines and products. It's a big, oversized, colorful magazine, with great design and great photography. This is the magazine the Hudson Valley has been waiting for. New York State is the third largest producer of grapes and wine in the United States, and the Hudson River Valley is the oldest wine-producing region in the nation, dating back to the seventeenth century. The region is noted by historians as “the birthplace of American viticulture” and a planting in 1827 at Croton Point is often cited as the nation’s earliest commercially successful vineyard. The Hudson Valley is also home to both the nation’s oldest commercial winery – opened in 1839 as Blooming Grove and now Brotherhood Winery – and also to the oldest continuously-farmed vineyard, the estate of noted viticulturist Andrew Caywood, now Benmarl Winery. 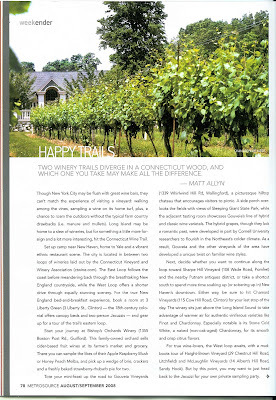 The magazine is also distributed at local wine fests and wine tasting events such as the Hudson Valley Wine Fest, Columbia County Bounty, and the Heart of Catskill Association Second Saturday Stroll. The Bounty of the Hudson got off to a great start yesterday, Saturday, July 26, at Benmarl Vineyards. The great wine and delicious food were everywhere yesterday. Everyone was having fun! Many of the personalities of the Hudson Valley Wine world were there. Here's Kristop Brown, the charismatic winemaker from Benmarl with New Paltz Times reporter Carrie W. Ross. One of the truly remarkable women of the Valley, Pat Baldwin, of Baldwin Vineyards, with her grandson at the fest. Jason Grizzanti from Warwick Valley making it look easy before the crowds arrived. Don't let the cool demeanor fool you, he's one of the hardest working guys in the valley. And he just got back from his honeymoon in Spain, where he and his bride, while enjoying the sunny hills of Spain, visited several cidre works. Congrats to the honeymooners! And here are some happy fest goers!!! According to this article, while Long Island might be home to a slew of wineries, and Manhattan stocked with new wine bars, "for somethign a little more foreign and a lot more interesting, hit the Connecticut Wine Trail." Six wineries are highlighted. And the reviews are all raves! There is no question that one of my favorite winemakers is David Whiting. When he first opened, I met him pouring his own wines at the Finger Lakes Wines Festival low those many years ago. He had no idea I was writing a book on wineries. I very rarely tell people who I am when I am shopping them. But David took the time to talk to me, an average Joe, and was truly excited about wine. I could have listened to his excited banter all day. I have been caught up in their winery/restaurant ever since. 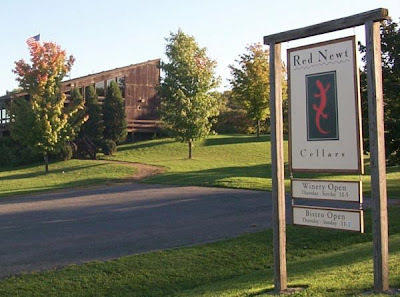 So there was no question that Red Newt was one of the wineries I was going to visit on Route 414. It was my ultimate destination. I was anxious to try the wines, not knowing, of course, that a surprise awaited me. The folks at Red Newt are coming up with something new. They are working on stepping up their quite already considerable game - and taking it to a new level. The two new wines I found were both outfitted with white linen labels, with classically done black and gold foils. The effect was quite handsome and the effort was to let you know something of extra-special quality was inside. I was not disaapointed. The first was the 2006 Sauvignon Blanc Reserve. 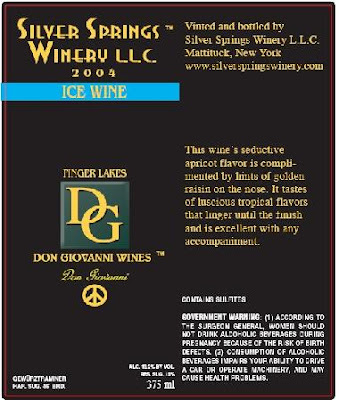 It's one of the few few Sauvignon Blanc wines in the Finger Lakes. And it's an elegant gold foil screw cap, just like from down under! There are touches of aroma of honeysuckle and honeydew melon. There is big fruit up front, with a long, lean, dry finnish. That touch of lemoniness comes through nicely. A great food wine...and I mean that as the highest compliment. Absolutely tremendous! Red Newt Cellars Viridescens is a red blend with the same packaging. A very big, spicy red blend with lotf of fruit and dry finnish. A very nice red. Very meaty with lots of flavors. Excellent as well. A great new step up! I wish Red Newt all the best! Damiani Wine Cellars is owned and run by two self-described Seneca Lake native sons, Phil Davis and Lou Damiani. The inspiration for these longtime friends to start their own winemaking business was a shared love of wine, and the belief that the terroir of the east side of Seneca Lake would produce wines of exceptional quality. Lou and Phil set out to nurture the promise of the local terroir, incorporating the winery in 2004, and opening the winemaking facility in July 2005. They have grown from 1700 cases their first year to about 2,500 cases in the last two years. 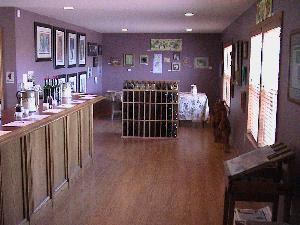 They continue to plant new vines every year, and opened a new tasting room on Route 414 in July 2006. 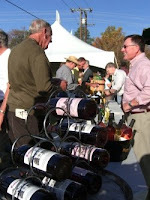 However, it was at the 2008 Finger Lakes WIne Festival that I first tried one of their wines. The one I liked best, among a number of nice wines, was the 2007 Sauvignon Blanc. Hints of melon and citrus came through on the nose as promised. I tasted and expereinced passionfruit and apricot on the tongue. Yet is was a nice, dry, long finnish. A very good light summer white. Perfect for food accompaniment. Excellent! The first stop on my friend Matt's and mine wine tour up Lake Seneca along Route 414 placed us squarely in front of Catharine Valley Winery. I had read about them through http://fingerlakesweekendwino.blogspot.com/ And I had seen their winery stand at a small wine festival in Rensselaer County, NY last October when I metioned them in the blog. But on this day I was able to taste much of the line. 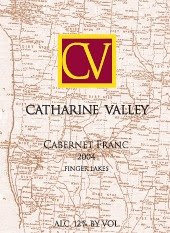 Catharine Valley is a family owned and operated Farm Winery committed to deliver the very finest domestic and Alsatian style varietal wines. You can be assured of a warm welcome with a uniquely local charm. It’s their goal to echo the same warm welcoming environment that Queen Catharine herself was noted for. Catharine (pronounced athareen) was Queen of the Seneca Indians and known throughout the area for her grace and cordiality. There is no question that their most popular wine is The Lost Irishman, a sweet Catawba wine that goes for about $10. 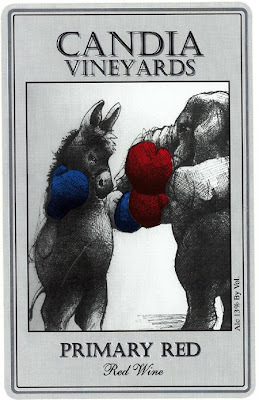 (How can you not love any winery that has a wine named that, with a label like that? You gotta love these folks!) And my friend Matt, who loves sweet rieslings, enthusiastically took home a bottle of their 2006 Riesling, which had just enough acidity to balance out some of the sweetness. It was a very nice wine. Now, maybe I was on a sweet kick or something, but I found yet another "sticky" as my brother-in-law and chef Robin Hoover likes to call dessert wines. But the Vignoles Late Harvest 2006 was wonderful. Not quite a thick or syrupy as other late harvest wines I have tried. But the flavors were there. And the taste was there. Light, sweet, and delicious. Floral nose, which is perfect for a vignoles. And a wonderful swet but balanced finnish. Nice job Donald and Jessica, the owners of Catharine Valley. Congrats! To those who know about Finger Lakes wine, Atwater has come to be synonymous with quality. That reputation is only growing...for a number of different resons. Firstly, few wineries have won as many awards as Atwater over the last ten years. If they have, they haven't done a good job of letting everyone else know. Secondly, Atwater is starting to take their festival wines, and place them under a second label or different brand - Bannana Belt series. These are more sweet, fun, festival wines (as they have become known in the industry). 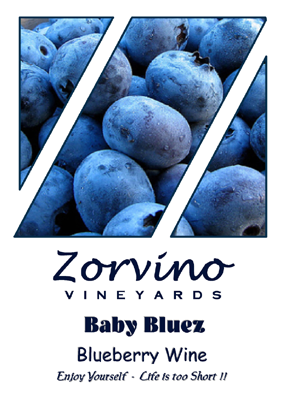 And thirdly, and more importantly, Atwater is focusing on doing more classic varietals and more classic finnishes. They are taking their game to the next level - if I may use that sports analogy. Atwater Estate Vineyards and Winery is located on the southeastern shore of Seneca Lake in the heart of Finger Lakes Wine Country of New York State. Located 7 miles north of Watkins Glen, their vineyards, containing sixteen different varieties of grapes, grow on a glacier-carved hillside that extends from Route 414 to just above the water’s edge. While there were a number of nice wines that Matt and I tasted at Atwater, on our trip up Route 414 by Lake Seneca before the wine festival in July, the one that really blew me away was Celcius. One of my favorite dessert wines, when I can get it, is Wolffer's Late Harvest Chardonnay. Here, Atwater has at the very least, equalled Wolffer's grand achievement. Now, before you wrinkle your nose, there is something you need to understand. Chardonnay has wonderful acidity. And so, the wine and fruit can stand up to the sugar levels involved in a thick, rich, sweet wine like this. Their Chardonnay grape is ripend to golden perfection until late autumn. Then they freeze them to create the ultimate dessert wine. Orange blossom, honey, and tangerine all come through as promised. This will make an incredible after dinner experience. Serve with a nice wedge of sharp cheddar cheese or even better a local artisinal blue cheese if you can. Maybe some salted nuts. Or even a fresh baked apple pie if you must. But I warn you - you'll want to drink it all by itself- it's that good! Don't you just ove finding the nice ones? Isn't it wonderful, after tasting many wines, especially on a hot day at a festival, when you find one, and your tastebuds just say, "Ahhh!" Thus it was when I stumbled upon Vetter Vineyards Pinot Noir. 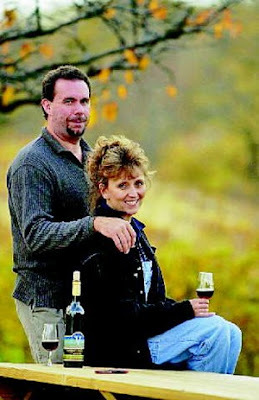 Current owners Mark and Barbara Lancaster bought the wine estate from the Vetter family in October of 2003. Mark has over 20 years experience in the wine industry and Barbara has been in the business since 2000. Their passion for wine has brought them to a place where they are producing smaller batches of quality wine that can be made from our Estate grown varieties such as Pinot Noir, Shiraz, Merlot, Pinot Grigio, Riesling Cab Sauv and Cab Franc and many, many others. Vetter is an exceptional boutique winery in New York state's Chautauqua County region.The pinot had lots of up front fruit flavors and a nice smooth, dry finnish. Very nice. It's hard to find...but it's well worth looking for. 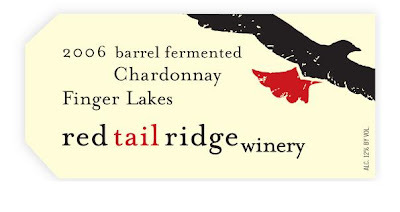 Red Tail Ridge Winery Barrel Fermented Chardonay a Pleasant Surprise! Red Tail Ridge is a new vineyard and winery located on the western shore of Seneca Lake in the Finger Lakes region of up-state New York. 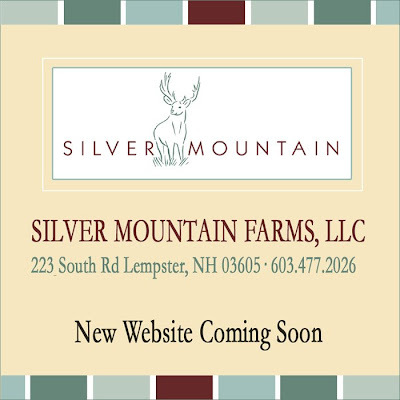 This will be our third and final year for vineyard plantings on the 32 acre property. We currently have 3 acres of multiple Pinot Noir clones, 2 acres of Chardonnay, a small plot of Teroldego, a few rows of Dornfelder and 14 acres of Riesling. Teroldego is a red Italian grape variety grown primarily in the northeastern region of Trentino-Alto; the wines produced from this variety have been compared to Zinfandel due to their deep color, brambly blackberriness, solid acidity and moderate tannin structure. Red Tail Ridge is named after the two nesting pair of hawks who live in the woods next to our property. They are our constant vineyard companions. "Mike and I recently moved to Seneca Lake in the Finger Lakes of up-state New York. Mike actually arrived a few years earlier than I did; he moved here when we first purchased the 34 acre property and began the long process of clearing and preparing the land for vineyard development. The property was primarily woods and scrub trees, so he had his hands full clearing trees, picking rocks, pulling stumps, leveling soil and placing drain tile. Very, very glamorous stuff! Before embarking on this project, he was working for a national company that rents heavy equipment to consumers. Mike used to manage the financial service center that serviced most of the individual locations west of the Mississippi. He’s a numbers-guy, with a lot of practical experience with heavy equipment—and he has a keen eye for vine health and development." "I arrived about two years later in January of 2006, leaving my position as Vice President of Viticulture and Enology R&D at a large corporate California winery to start a new life with my husband. When I’m not helping my husband pick rocks and pull stumps, I can usually be found walking the Pinot, Chardonnay, Riesling and Teroldego vines that we’ve already planted and keeping an eye on vine growth and fruit development. Once we reach veraison, I usually walk the vineyard every week to taste the fruit and assess ripeness. Once we harvest, I move my focus away from the vineyard and concentrate on the wine production process. And then, I sell the wine." Now, normally, I prefer a stainless steel chard, or now as they are being marketed, a "naked" chardonnay. But this little baby surprised me. Nice acidty, which is usually washed away in barrel fermenting, was still present, and the fruit was bright and forward, and there was that creaminess that one looks for. And this isn't a heavy chardonnay. It was light and refreshing. This was a lovely chardonnay. A truly beautiful wine. Congrats to Red Tail Ridge! Steve and Erika Conaway purchased the Farm in December 2002. Upon Steve's retirement from the military, they decided to create a winery in Alexandria Bay, NY. The Massey legacy of quality lives on today. Although the horses and cattle are no longer a part of the farm, agriculture continues in the form of Viticulture. The wine that caught my attention while doing a tasting at the recent 2008 Finger Lakes Wine Festival was the Vignoles. 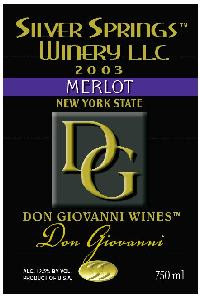 This was the 2007 NY Food & Wine Classic Gold Medal Winner. It's a light, white wine. It's crisp and refreshing, with floral nose and hints of grapefruit on the tongue, but never sour or with too much acidity. Light and balanced - it dances on the tongue. I tried the Lot 99 when I was at the Finger Lakes Wine Festival. You don't need me to tell you Thirsty Owl is a good winery, not with all the awards and praise they've recently won. But I was curious. Lott 99 spoke to me. This is an intriguing blend of Chancellor and Pinot Noir. That's an unusual blend. Lot 99 has is a medium bodied red with smooth dark berries and plum fruit, and no residual sugar. It's got a lot of fruit up front, a nice finnish to it. A very solid and wonderful wine. A great sipping dry red or wonderful with fruit. Congrats to the folks at Thirsty Owl on another success! Le Trois Emme is named for the three grand daughters of the owner. Don't feel sorry for his grandson, he had a wine named after him. Dominique and I went to the Clark Museum in Williamstown, Massachusetts. We decided to go a little out of our way on the ride home, and visit Le Trois Emme Winery & Vineyard in New Marlborough, Massachusetts. It's only a stone's through from the New York state line. And the ride is beautiful. When you first enter, a table of their award winning wines greets you, along with an assortment of tapenades and spreads as well as flavored olive oils, all available for purchase. Invariably were were welcomed by several of owners' J. Wayne and Mary Jane Eline's daughters who run the tasting room with precision and a sense of humor. Immediately one gets the sense of being a part of the family. A tasting notes sheet, a pen, and a glass await you at the bar, and one of Wayne's daughters jokes, "We'll tell you what to drink, what to eat, and when to do it." They're only half kidding. The tasting consisted of six of their wines, though several other were available for sale, but not tasting. The fun really begins when you see that behind the bar they are preparing plates of food! Small canapes and tasty snacks. As the plates are delivered to you, the first wine is poured, the Seyval Blanc. We were then "ordered" to taste the wine, take a bite of our baked pot sticker or dumpling, and then taste another sip of wine. It was a great experience! We then tasted a Cayuga along with a double-cheese melt on a thin slice of rye; their Nick Jackson Blush with nothing (boo! ); their Shiraz-Cabernet with a roasted pepper and feta spread on a cracker; their Old Vine Zinfandel with salmon and a creamy cheese on a cracker, and the Berkshire Red with a spicy quesadilla. Arguing which pairing I thought would have gone better could go on for days with no real better anwer. All the tasting experiences were lovely. All the wines were very drinkable. They are an award winning winery, so you're not going to go too wrong. Dominique and I both liked the Seyval. We thought it had nice charachter to it. Solid grapefruit-y ending. Very nice and crisp. We also both liked the blush. It's a very light red wine, and dry as a bone. Very crisp and delicious when served cold. Very nice. A very sophistacated dark rose'. The Old Vine Zinfandel is a Gold Medal winner, and the Bershire Red is a Syrah blended with Centurion. I liked the Berkshire Red the best of the three. A great food wine. As tastingroom experiences go, I thought it better than many which seem to be in a rush to get your five dollars, throw you a few sips of wine, and push you to the cash register. This is a much more enjoyable atmosphere. And a lot fo fun! Le Trois Emme is a delightful find in the Bershire Mountains. Most wine-lovers seem to gravitate toward wines made in California, France or Italy. Some of the more adventurous consider selections from Oregon, Australia, Chile, Argentina and South Africa. But what about New Hampshire? If you have not tried wines from this state, now is the time. There are a number of winemakers who are dedicated to high-quality wines that can stand up to comparisons from larger world wineries. It is not easy to grow wine grapes in New Hampshire, with its short growing season and harsh winters. However, there are a number of places across the country, such as Cornell University in New York, that have developed cold-hardy hybrids that can withstand the state’s weather challenges. “Some of the cooler parts of the country have developed grapes vines that are hardy at 35 and 40 degrees below zero,” Oldak said. When it comes to global climate change, warmer temperatures would seem to benefit most wine makers, allowing them to grow more varieties of grapes, especially the red-wine grapes that require long periods of warm temperatures to develop their flavor. However, wine-makers worry about the extremes in weather that climate change could cause. 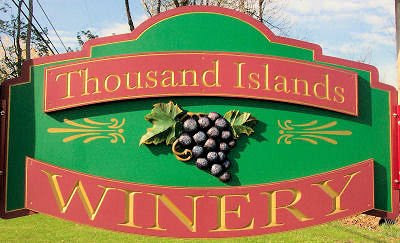 Recently the Association created three New Hampshire wine and cheese trails — one in the Seacoast area, one along the western edge of the state, and one in the Merrimack Valley (see www.visitnh.gov, or look for brochures and wineries and tourist information stops). 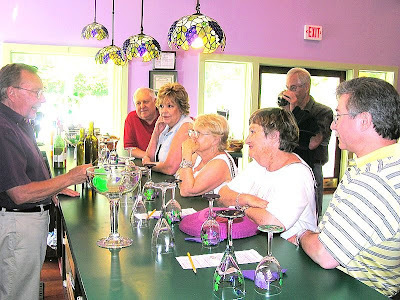 Oldak noted that most of the trails’ wineries have tasting rooms, which provide a fun activity for residents and their out-of-town guests. And because wine changes from year to year, it makes sense to go back to the wineries to taste their new offerings each season. “Someone said, ‘Don’t guzzle gas. Guzzle wine,’” Oldak said with a chuckle. Here’s a closer look at five wineries in the southern tier of New Hampshire. Can’t afford a vacation to Napa? Take a day trip to one of these spots. With the cost of everything from glass bottles to gasoline increasing, some Bucks County wineries are looking for creative ways to save money so they can avoid scaling back production or raising prices. They're cutting out the middleman, joining forces to buy materials in bulk and, in the case of the Fratelli Desiato Vineyards in Bedminster, installing solar panels, wind turbines and cisterns that capture rainwater to irrigate fields and wash equipment. "We did it because of the economy," owner Lou Desiato said of his vineyard's new "green" amenities. "We were trying to cut some of our overhead." The changes have helped lower the winery's electric and water bills, he said. "We're watching every penny," he said. "We're closed on Mondays and Tuesdays because there's not enough business to support it." Costs have risen and business has slipped at the vineyard's restaurant and tavern, but Desiato said the winery will still produce "a few thousand bottles" of wine this year about the same as last year. "People are more price conscious," he said. "But our private events are still good, which is helping us weather the storm." Wine is a $661 million industry in Pennsylvania. The state is the nation's fifth-largest producer of wine grapes in the U.S., according to the Pennsylvania Winery Association. Though local wineries are susceptible to higher prices for ingredients and supplies and subject to slowing demand during tough economic times, some area vineyard owners say they're going to be just fine. "People are staying local and buying local and we have a ton of local customers," said Tom Carroll Sr., co-owner of Upper Makefield's Crossing Vineyards and Winery, which added solar panels last year. The business plans to open a retail location in the Marketplace at East Falls on Ridge Avenue in Philadelphia, he said. Plus, Carroll said he expects the winery to increase production and build an addition to give it more storage space. "We're still doing well," agreed Jerry Forrest, patriarch of Buckingham Valley Vineyards. "We get a lot of business from the Philly metro area in a 20- or 30-mile radius." He added that wine lovers are likely to continue making purchases despite economic concerns. "To some degree, I think we're cushioned because we deal with a unique clientele," he said. "Our costs are up, but we're trying to do things smarter," Carroll said. "(Our) expansion actually helps because we're buying (supplies) in bigger quantities." Petroleum-based fuels are needed to produce the glass used in wine bottles and some types of labels, so those costs have gone up significantly, vineyard owners said. Crossing Vineyards recently switched glass suppliers to get a better deal and the business uses labels that aren't petroleum-based. Joe Fiola, Maryland Cooperative Extension specialist in viticulture and small fruits, has helped move the wine industry into 15 Maryland counties. The following is a piece about the University of Maryland Cooperative Extension. As in many states, like New York, Virginia, Michigan, Minnesota, and other states, these researchers and scientists help the local grape growers identify trends, fruit, disseases, and other important information. They are the unsung heroes of the winery business. Joe Fiola, viticulture and small fruit specialist at the Western Maryland Research and Education Center, has a strange introduction to his beginners’ grape growing workshops. “My object here is to scare most of you away from doing this,” he tells would-be vintners who flock to his presentations. If you don’t want to be a farmer, don’t get into grape production, explains the viticulturist with almost 20 years of experience. Growing grapes is intensive small fruit farming; amateur growers need to understand there’s nothing romantic about mid-winter pruning or mid-summer vine training. With Fiola’s help, the 28 licensed wineries in Maryland—up from 11 in 2002—like well-trained vines, might just make it. Fiola’s viticulture and enology program concentrates on variety and clonal testing he conducts on the College of Agriculture and Natural Resources’ four vineyards. Fiola’s goal is to develop variety recommendations—like those from southern Italy, France and Spain, and even Eastern Europe—best suited to a vineyard locale. Wine production in the state increases an average of 15 to 20 percent each year, and Maryland wines—numbering more than 225 different varieties—consistently win gold medals at national and international wine competitions. Fiola’s own wines have moved him into the top 20 all-time award winners in the American Wine Society’s national wine amateur competition. Fiola’s Linae, a vine existing nowhere else in the world, garnered the vintner a Best in Show in 2003. 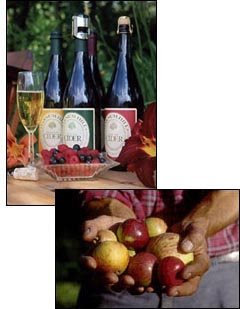 Boordy Vineyards, located in Baltimore County, has since requested an acre of the vine from Fiola who hopes to patent it. On the horizon for the burgeoning Maryland wine industry? “Farmers need to take advantage of the interest in wine and work with apples, which are much less expensive to grow than grapes,” Fiola says. The northern tier counties are well suited to grow this hardy fruit. This is not your grocery store cider turned hard. Apple wines can have a bouquet similar to a dry chardonnay, Fiola says. He also creates Madeira-style wines and products similar to ice wine and ice-port wine from apples. “Since I do so many fermentations each year, sometimes one gets away without getting the proper attention and oxidizes or turns to vinegar,” he says. The vines are growing and the members of the Southern Maryland Winery Cooperative are ready to get a winery under way in Leonardtown. Though there was a ceremony in 2006 to kick off the winery, the location off Route 5 next to the bridge over McIntosh Run has remained unchanged. The old State Highway Administration garage is still sitting there. There are now 17 members in the cooperative, growing more than 13,000 grape vines on 20 acres collectively. When the vines are mature, there should be enough grapes to make 8,000 gallons of Maryland wine. But the cooperative needs licenses and a facility to produce and sell the product. That will come with the renovation of the old state highway garage. But work has to start now, if the timetable is to work out, said Caroline Baldwin, vice president of the cooperative. Renovation must be complete by next January and all licenses need to be in hand by July 2009 in order to ready for the first crush in August 2009. The first wine sales are expected in the summer of 2010. David Wood’s family farm in Mechanicsville has transitioned from growing the cash crop of tobacco to other alternatives such as greenhouse plants, fruits and grapes. While not as lucrative as tobacco, ‘‘it’s a substantial amount of income that we can use as an alternative,” he said. And the demand is there for grapes grown in the state. ‘‘At this point, there is a shortage of Maryland grapes” necessary to make Maryland wine, Wood said. To be considered true Maryland wine, the beverage must be made up of at least 75 percent of grapes grown in the state. Membership in the Southern Maryland wine cooperative is not limited to the region. Baldwin’s farm where grapes are grown is on the Eastern Shore. ‘‘We don’t really have a lot of time to get construction started” at the winery site, she said. Not all of the funding is in place and the shortfall will be addressed in the cooperative’s capitalization plan. LEONARDTOWN, Md. - Today, in warmer than usual weather, the Commissioners of Leonardtown joined with the Board of County Commissioners, representatives of the local grape and wine industry, political hopefuls, and local citizens to toast the launch of the Port of Leonardtown project. The project is a collaboration of several government entities, local farmers, and businessmen that will yield a multi-purpose, 3-acre, tourist and recreation area right next to Route 5 and McIntosh Run. On what used to be a State Highway Administration maintenance facility will sit a park that contains a kayak launch, a picnic area, a winery, and a grape vineyard demonstration area. Officials are currently negotiating with the recently formed Southern Maryland Wine Growers Cooperative to supply the grapes and operate the winery. The State is working to help yesterday’s tobacco farmers become tomorrow’s grape growers. The proposed winery was the subject of today’s event. Town and County officials shared in the ceremony since it is a joint venture between both bodies. Chipper Norris, Leonardtown’s Mayor, officiated the event. Norris paid special homage to Bob Swann for his part in the project. Norris noted that without Swann’s help, the property would likely be a truck depot today. 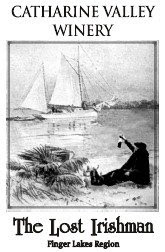 At the time Swann was the Maryland Comptroller, he arranged to have the unused land deeded to the town for the original price paid by the state—$14,000. Some of the most profound words were offered by Kevin Atticks of the Association of Maryland Wineries. 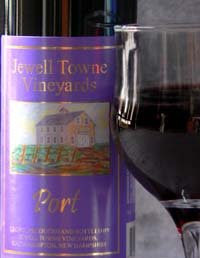 He said that the Port of Leonardtown winery offers a unique example of synergy between the town, the county, and the grape growers. According to him, the first winery in Maryland was licensed in Baltimore in 1945. As of 2000, Maryland had eleven wineries. Atticks further noted that in 2001, the state appointed the Maryland Wine and Grape Advisory Committee to study the growth of the wine industry in other nearby states, such as Virginia, to determine what Maryland could do to experience the same success. The Committee’s report recommends that one important step is to facilitate and encourage the formation of cooperatives—such as the one recently formed here to supply and operate the Port of Leonardtown winery. 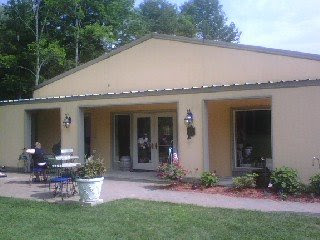 Atticks’ most impressive statistics were that the smallest winery in Maryland generates 15-20,000 visitors every year. The largest winery generates more than 500,000 visitors annually. Atticks is confident that the efforts underway will show that there is a market for Maryland fruit. James Horstkamp of Compton is the President of the Cooperative. He said that he is confident that the co-op and the winery will help to foster a new industry in St. Mary’s County. He estimated that there are currently enough vines planted in the county to produce 30,000 bottles of wine. After the brief remarks by the speakers, everyone was invited to get a glass of locally produced wine and join in a toast to the success of the project. After waiting a few minutes for the crowd to return from the bar with their glass of wine, Mayor Norris realized that he might have made a mistake in sending them off to the bar unsupervised. He issued a light-hearted reminder for them to return and the toast went off with an elegance commensurate with the nobility of the project. 60-acre operation will be largest in Md. CLEAR SPRING - Row after row, vine after vine, a former lobbyist with a taste for fine wine is creating Maryland's largest vineyard in the Appalachian foothills of Western Maryland. Richard Seibert moved his family last year from Annapolis to Clear Spring to plant 60 acres of grapes on the 175-acre farm that has been in his family for generations. In the fall of 2009, Knob Hall Winery will start bottling wine from the merlot, cabernet franc, vidal blanc and chambourcin grapes he started planting last year. When fully planted by 2010, Seibert's vineyard will the largest in Maryland, eclipsing Linganore Winecellars' 50 acres in Frederick County, said Kevin Atticks, executive director of the Maryland Wineries Association. Knob Hall won't be the largest winery, though. Both Linganore Winecellars and Boordy Vineyards of Hydes produce more than 100,000 gallons a year, much more than the approximately 30,000 Seibert projects for Knob Hall. He said he expects to buy grapes to supplement what he grows, just as the state's other large wineries do. Seibert, 56, worked for the National Association of Manufacturers and founded the Annapolis Center for Science-Based Public Policy, a think tank dedicated to energy, environmental, health and safety issues. While he enjoys wine, he concedes he's no vintner. "We are not experts in making wine, which is why we have hired an expert winemaker," Seibert told The Frederick News-Post. The vintner, John Levenberg, studied at the University of California-Davis and has worked in France and California, Seibert said. "He did a merlot," Seibert said. "I'm not a big merlot fan, and it just knocked my socks off. If we can do this, we'll have no trouble." Seibert's vineyard signals a renewed push for winemaking in Washington County. Joe Fiola, a small-fruit specialist with University of Maryland's Cooperative Extension, told The (Hagerstown) Herald-Mail that the county's well-drained soil includes some of the best grape-growing areas in the state. Yet Washington County has had no commercial wineries since the Ziem Winery in Downsville closed about nine years ago, Fiola said. Vineyards offer big profit potential for those who can afford high upfront costs, which Seibert estimated at $12,000 to $13,000 an acre. Fiola said an average acre of grapes yields $1,000 to $2,000. Turning grapes into wine can multiply the yield by 10 or 12, he said. Television production and winemaking may seem like an unlikely pair for most, but for Chris Kent, they are a perfect fit. Kent is the winemaker for Woodhall Wine Cellars in Parkton and has been a part of the team for 15 years. With a broadcast journalism degree from Louisiana State University, Kent traveled up to Maryland believing he would enter the broadcast industry. Stuck with looking for a new job in a new area, mutual friends introduced Kent to the Woodhall clan. A part-time job at the winery in 1993 turned into a new beginning for Kent. As he continued to look for another job in the television industry, Kent was unaware that his true calling was right under his nose. Under the guidance of owner, Al Copp, and then winemaker Ray Brasfield, Kent had great teachers to point him in the right direction. 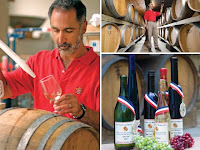 He had the basics of winemaking down and learned more as his career progressed. His passion is what drives him each day, each season. Kent is extremely knowledgeable about the different grapes in the different vintages. He is aware and understands that what worked last year does not guarantee anything for the upcoming growing season. “It is the element of mystery and adventure that keeps winemaking from being mundane,” said Kent. “Each year offers something different and new; you become excited and fired up.